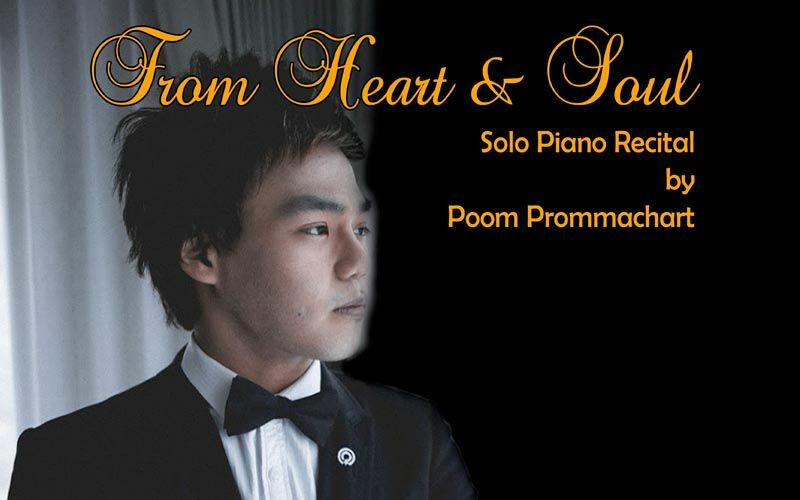 Poom, who has performed throughout Europe and Southeast Asia and worked with many leading Orchestras will debut his solo recital in Singapore this December. With the already developed an international reputation of an outstanding performer of rare expressive depth, and acclaims of critics calling him “a young Ashkenazy” after his performance of Prokofiev's Second Piano Concerto in London, Poom will showcase works of Bach Busoni Toccata in D minor; Schubert Sonata in A Major, D. 664; Liszt La Campanella; Rachmaninoff Etude Op. 33 No. 9 and Op. 39 No. 6; Scriabin Famtasy in B Minor, op. 28; and Stravinsky Petrouchka.